CHEYENNE MOUNTAIN AIR FORCE STATION, Colo.–“Another article on innovation?” you say. I don’t have to tell you that there are more challenges across the Air Force than any time that I can recall: manning reductions, reduced budgets, infrastructure we can no longer afford, new requirements; response to advanced cyber threats, and the cherry on top, sequestration. As a result, our leaders navigate the Air Force through and around the turbulent air these challenges create. However, maintaining the best Air Force on the planet, through these challenges, isn’t solely the job of our leaders, nor is it a one-time thing. We must continually innovate. The Air Force is renowned for innovation. There are historical markers at Wright-Patterson Air Force Base, Ohio, where the Wrights innovated flight controls. At the end of the last century, the Air Force developed technology that made aircraft virtually invisible to radar. Your Air Force developed and maintains global precision navigation and timing that not only assures the accuracy of weapons and maintains the ability of networked computers to communicate, but has permeated our daily lives. The Air Force has been innovating since we were born from the Army Air Corps 68 years ago, and we keep innovating, at all levels. This year, the Air Force is innovating by consolidating mission support under the Air Force Installation and Mission Support Center. Major commands are innovating by consolidating staff functions; wings are finding innovative ways to prioritize missions and resources. At the unit level, each of us can be innovative in the areas within our span of control. 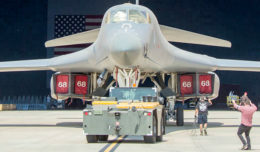 A civil engineering squadron might develop processes for leveraging infrared imaging technology to reduce the number or frequency of hands-on inspections, disassembly and reassembly they would have done in the past. Maintenance squadrons are leveraging technology for electronic technical orders. Logistics readiness squadrons have streamlined supply and deployment processing. However, none of us should settle on these things or ever think there are no more improvements to be made. Effective innovation starts in the areas you know and can control. For example, all of us may have a good idea on how to shorten the wait at the pharmacy, but only those in the medical field understand all that has to go into filling your prescription in compliance with the law and Air Force instructions. You will be able to find more ways to improve within your own work center than the pharmacy. Second, challenge the way it’s always been done. There may be a valid reason that put into place the instructions, procedures, tech order, manual or Air Force instruction to do things a certain way, but there is probably a better way. Third, run innovative ideas past your coworkers, supervisors or leaders, and benefit from their experience. They can help refine and improve upon your proposal. Fourth, there are various ways to put innovation in place. An Air Force Technical Order Form 22 can improve a tech order or exceptions to manuals and instructions are possible. 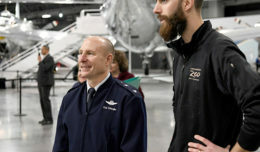 Over the last few years, our wing successfully used a wing-developed Requirements Assessment and Compliance Tool and achieved nearly $500 million in cost savings and avoidance, mitigated more than 200 manpower billet cuts and shortfalls, and advocated for and received more than $300 million in funding. The program was highlighted as the best by secretary of the Air Force, SecAF/Headquarters Air Force organizations, Air Force Space Command, 14th Air Force commanders and AFSPC/Inspector General. It is a “highly effective” Strategic Planning Process and Continuous Process Improvement program. ReACT helped achieve 48 Air Force-level best practices and has high impact for the 21st Space Wing. In fact, here at Cheyenne Mountain Air Force Station, we are pursuing some of those ReACT benefits in our communications and civil engineer squadrons. The best Air Force-wide resource is the Airmen Powered by Innovation program. It enables ideas, vets and validates them through experts, leverages Air Force Smart Operations for the 21st Century where needed, provides a process for implementation, and tracks the best ideas to completion. API, released in 2014 and codified in AFI 38-402, “Manpower and Organization” seeks input from every Airman on how to make our Air Force more effective or more efficient. The bottom line is that you are the key to innovation. Together, each one of us has the knowledge to improve ourselves and our mission. We must figure out how to do the mission with less people and fewer dollars, yet maintain the best Air Force on Earth. Each of us can play a part. The tools are available to help us get better. With your help, we will always improve. Never stop innovating!